Kind regards, Merlin Cycles Ltd. Your One-Stop Road & MTB Bike Store. FREE Worldwide Shipping Available On Most Orders. Finance Available on Orders over £250. 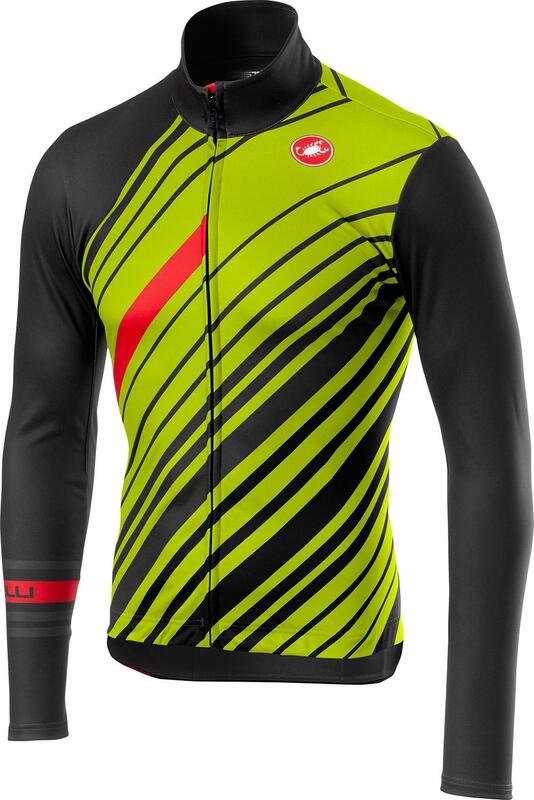 This jersey features Castelli's new Warmer Plus fabric, which has a slightly tighter knit to keep you warmer while still being lightweight and having excellent moisture management. Castelli added some construction details like our drop pocket design, the stretch side panels moved farther to the back, and our Zen neck flap to cover the zipper without the complications of a zip garage that always seems to get caught in the zipper. It's focused and functional, making this a great-performing essential jersey. Please enter your e-mail address below then click "Notify Me" to be notified when this item comes back into stock. We will not use your e-mail address for any other purpose. You will be notified when the item comes back into stock.